Tinea pedis, commonly know as athlete’s foot is the type of fungal foot infection seen most often. Fungi love moist, dark areas, so they thrive on feet that have not been properly cleaned after sweating or after having been exposed to water. Blisters will appear when your shoes do not properly fit because the shoe will rub against the skin. This irritation leads to blisters. When a person is new to an exercise, like running, they are particularly prone to blisters. Blisters and athlete’s foot can be painful and irritating, but there are home remedies that can cure both. Before beginning any sort of self-treatment, it is important to consult your physician, particularly if you have diabetes, an immune deficiency disorder (like HIV/AIDS), or are a woman who is pregnant or nursing. Fungal foot infections can often spiral out of control and end up as a more serious bacterial infection if they are not properly treated. Do not scratch your feet when you are suffering from a fungal infection as this will just aggravate the infection and can make the fungus spread to other parts of your feet or body. Using a sterilized needle, drain any fluid from the blister. 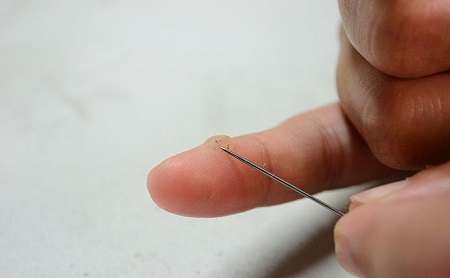 Lightly prick the blister with your needle and allow the fluid to drain out at its own speed. After the blister is drained, cover the area in an antibiotic ointment. Place a Band-aid over the area to cover the blister and avoid further infection. 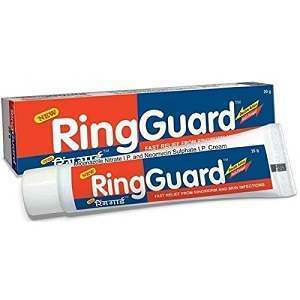 Replace your Band-Aid as needed. Then, after a few days, you will want to leave the area uncovered so that it can air out and begin the healing process. Occasionally soak your feet in clean water and make sure to dry them thoroughly. 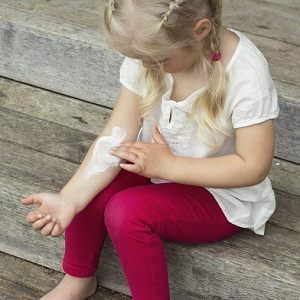 Every day, before you put on your shoes and socks, dust your feet with baby powder. This will stop the friction between your footwear and your feet and will prevent the formation of more blisters. After you take a shower, spray rubbing alcohol on your feet. Alcohol will dissolve the moisture and stop the spread of fungi to other parts of your feet. After spraying them, either thoroughly towel dry your feet or let them dry in the air. Yogurt and Vitamin B supplements both contain antibiotics that can destroy bacteria, so eating yogurt or taking a supplement can get rid of bacterial infections on your feet. 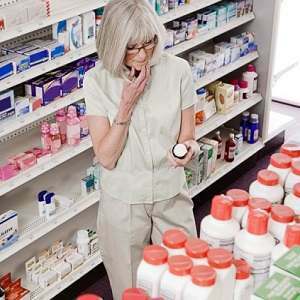 This is a good option because taking prescription antibiotics will often kill the good bacteria that resides in your stomach and intestines along with the bad stuff that is causing your infections. 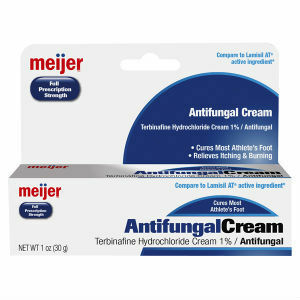 Overuse of antibiotics can make it even harder to cure your fungal foot infection. 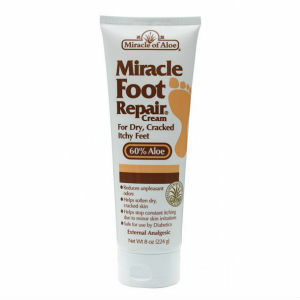 Always keep baking soda or medicated foot powder in your shoes because these will keep your feet moisture-free. Also, you’ll want to wear socks made out of a natural fabric like wool or cotton because these will allow air circulation to your feet, which will help to keep them dry. Each day, for at least ten days, soak your feet for at least ten minutes. You can mix water and apple cider vinegar (one half of each) to soak your feet. 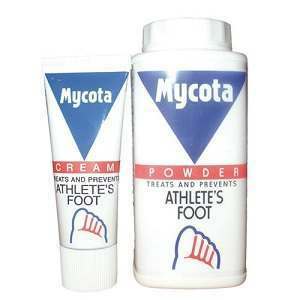 This will ease the itch of athlete’s foot. 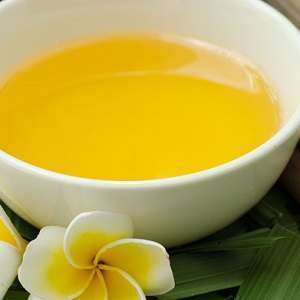 It will also help remove the infected skin in a pain-free way.